Want the Carlton College of Sport to attend your careers expo or school event? Register your details and we’ll be in touch. Are you ambitious and eager to make your mark in the world of sport? 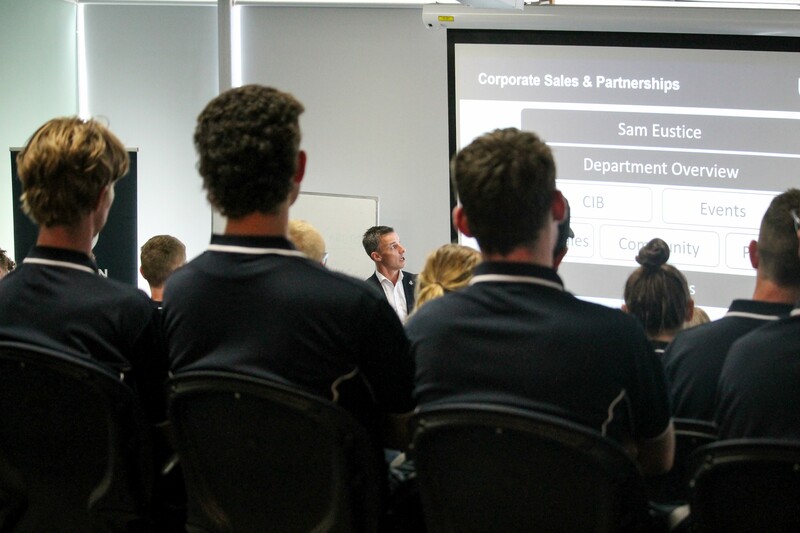 Get real-world experience and your foot in the door of the sports industry at the Carlton College of Sport. A partnership between Carlton Football Club and La Trobe University – the leading university for career outcomes in sport – this unique tertiary program provides the ultimate learning experience in a high-performance environment with professional athletes, coaches and mentors. Get real life work experiences in an elite sport environment whilst obtaining a higher education qualification from Australia’s university of choice for sport.